A type flour you may have never heard of, green banana flour, is changing the face of baking for gluten intolerant individuals. Green banana flour is gluten-free flour made from ground, unripe green bananas. Yellow bananas won’t work to make flour because they’re too soft and sticky. Although green banana flour is newer to the US market, it has been popular as an alternative to wheat flour in Jamaica and Africa for several years because it is much less expensive and made from local crops. Once the bananas are milled, the finished product tastes lightly banana-y when eaten raw, but this disappears when used for baking. Once baked, it takes on more of a nutty, slightly sour chocolate flavor, making it an awesome addition for chocolate treats. Green banana flour has some incredible benefits for your health, blood sugar, and digestion, so let’s explore this awesome gluten-free alternative. The nutritional content in terms of calories and macronutrients isn’t that different in green banana flour compared to wheat flour. If you are looking to cut the calories in baked goods, this isn’t the flour to choose. Other nutrients include manganese, magnesium, vitamin B6, and copper. It contains about the same number of calories as wheat flour, but is much higher in potassium, fiber, and magnesium, as well as other vitamins and minerals. These naturally occurring vitamins and minerals make it a more nutritious alternative to regular wheat flour. Not only is it higher in fiber than white flour, it has a special type of fiber that has been found have a myriad of benefits with myriad health benefits. The fiber in banana flour is called resistant starch and may help reduce the risk of diabetes and promote weight loss. Naturally gluten-free, it only contains one ingredient: green bananas. For those avoiding gluten, who still want to bake or use flour for thickening, options usually include oat flour, cassava flour or a type of bean flour. Nut and coconut flours are also available, but many people don’t tolerate nuts, and coconut flour alone isn’t the best for baking. Cassava and bean flours sometimes taste off-putting in sweet treats, making green banana flour a better option. The second benefit: resistant starch. This type of starch “resists” digestion allowing it to pass through the intestine undigested, which is where a lot of the benefits come from. Starch is basically a complex molecule of carbohydrates, which your body must break down to use for energy. Starchy foods include: potatoes, bread, and of course, bananas. 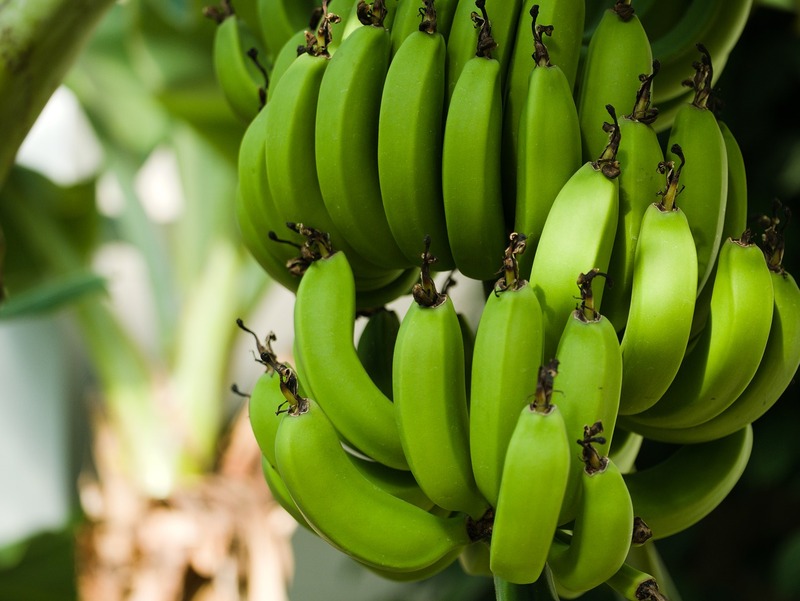 When bananas are picked while green, they are higher in this particular type of starch, which degrades as they yellow. Resistant starch acts differently than other starches because it “resists” digestion. Therefore, it does not get broken down in the gut and passes through mostly intact. The calories from this starch doesn’t get absorbed because the body won’t extract the calories since the starch is so resistant. The starch then moves into the large intestine, providing bulk for the digestive muscles to press against. The bulkiness provided by the starch moves digestion along, preventing constipation. The starch also acts like fertilizer to bacteria in the gut. Considered a prebiotic food, or food for healthy colon bacteria, keeps them alive and thriving, which in turn, also helps digestion. Since it stays whole in the digestive tract it also increases the feeling of fullness after meals. It moves slowly along, preventing sugars that meal from rushing into your blood stream, keeping blood glucose stable. This may be why it has been shown to lower the risk of diabetes. Prebiotic, or food for healthy bacteria; improves digestive health (2). Helps control blood sugar and improve insulin sensitivity (3). Increases feeling of fullness after meals. May help promote weight loss. Lowers blood pressure due to high potassium content (4). For people with diabetes, or at risk of diabetes, green banana flour may be a great flour alternative that also helps stabilize blood sugar. A 2014 study evaluated the impact of banana flour on the health of 25 overweight women. The women consumed 20 grams of banana flour, or a placebo, for 45 days. Those who ate the banana flour had a decrease in blood pressure, hip circumference, and fasting blood sugar levels. Although a small study, it is promising for people with diabetes who are looking to better control their blood sugar or who may be at risk for developing diabetes (5). Another study published in 2010, set out to determine if resistant starch might reduce the risk of diabetes by improving sensitivity to insulin and reducing fat storage. The study gave twenty subjects with metabolic syndrome either 40 grams per day of a resistant starch fiber supplement, or a placebo for 12-weeks. Throughout the study, they measured insulin sensitivity and fat storage. Subjects who received the resistant starch had significantly improved insulin sensitivity and saw a reduction in fat storage and waist circumference (6). So, this magic fiber from bananas seems to helps you eat less, improves insulin function, and helps keep your gut bacteria healthy. Not only that, it tastes great in baked goods! Banana flour can be found at any health food store in the gluten-free flour aisle, or ordered online. Due to its fiber composition, you need to use about 25% less banana flour in recipes when compared to regular flour. This may make it more cost effective than regular flour. Made from bananas unsuitable for sale for a variety of reasons, this also helps reduce food waste and increases profits for farmers. 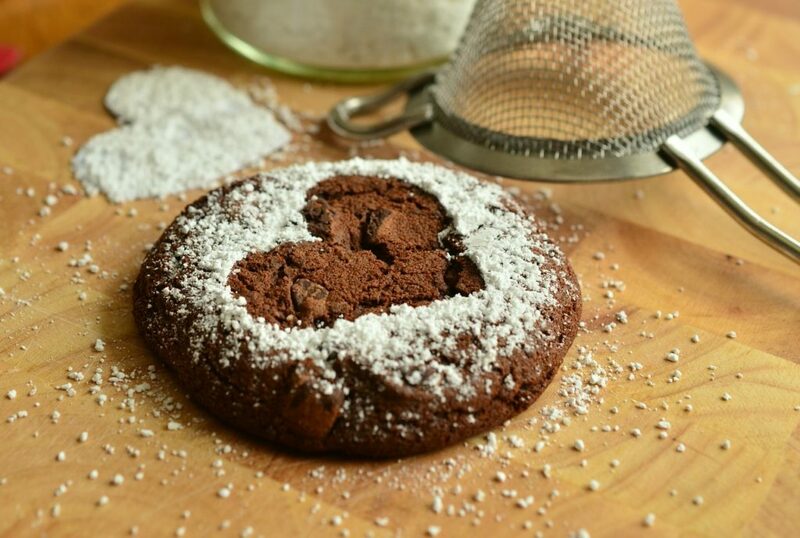 Compared to other gluten-free alternatives, it doesn’t require the addition of thickeners in baking because it holds together similarly to gluten. Due to the high fiber content, you may feel more satisfied with baked goods made from banana flour, since it increases satiety, so you end up eating less overall. The benefits of banana flour come from the resistant starch. But, once the flour is heated over 140 degrees, the resistant starch starts to degrade. To get the biggest benefit and the increase in insulin sensitivity, you should eat its raw state. If you want to eat it raw, try mixing it into a smoothie or making uncooked treats with it. Be aware that when you start to eat raw banana flour, or any other resistant starch, the bacteria in your colon will be very happy. When they are happy, they tend to produce a lot of gas. It may take a few weeks for your body to get used to it, so try to add it in a little at a time. Cooked or not, the flour remains gluten-free, making it a good option for baked goods or to thicken sauces. It produces a product that is less dense than foods made with other alternative flours like coconut or almond flour. For a baked good, although it might be lighter than those other flours, you can still taste the fiber. So, the flavor would be a little closer to whole wheat flour, not white flour. Overall you can find recipes for all sorts of baked favorites, from brownies to chocolate chip cookies, using banana flour. Overall, banana flour is a great gluten-free alternative to regular flour. The resistant starch may help improve insulin resistance, promote weight loss, and keep your digestive tract humming along. Look for it next time in the gluten-free aisle.